When state Sen. Leland Yee was arrested in 2014 on charges he engaged in racketeering and gun-trafficking activities, Californians were outraged. A state senator who was campaigning for Secretary of State on a transparency platform was found to be a phony and ultimately a convicted criminal. Yee became the third sitting State Senator charged with criminal offenses in a short period of time (remember Ron Calderon and Rod Wright?). The public took notice---we weren’t happy. We saw it as another example of how lawmakers are shielded from the consequences of their own actions and play by a different set of rules than everyone else. You know who else wasn’t happy? Many of the trio’s fellow state senators who felt they were all being tarred unfairly with the same brush. The public took notice of that, too. 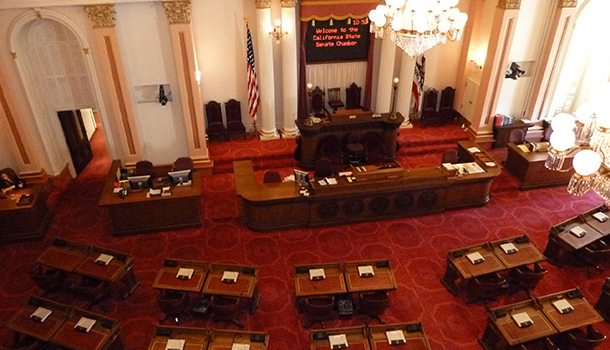 It prompted then Senate President pro Tem Darrell Steinberg and other legislators to write and pass – overwhelmingly and with strong bipartisan support – a constitutional amendment to put before the voters for consideration. The measure will appear on the June primary ballot as Proposition 50---the only statewide ballot question that Californians will be asked to consider. CA Fwd thinks it’s a no-brainer. The National Conference of State Legislatures believes the power to discipline and expel members is inherent to a legislative body. That power has long been a staple of American democracy. It is a standard option available in most states. Proposition 50 is a commonsense step that would give lawmakers the authority to police their own, which is the right next step to holding all lawmakers accountable for serving the public interest. That’s why fair-minded Californians support Proposition 50.